In celebration of Naturopathic Medicine Week (October 5-11) we are running a video contest for the patients of naturopathic doctors. You get a chance to make a quick video and let the world know why you love your ND! One submission will be randomly chosen as our winner to receive a complimentary 60 minute craniosacral with the one and only Dr. Ariel. 1. Create a 30 second video that highlights why you love your ND or how Naturopathic Medicine has helped you. 4. Sit back and wait to hear if you have won! 5. Submission deadline is October 1st by 5pm and the winner will be announced via social media on October 2nd. Your video will likely end up on our social media and website and will eventually make it to the website for the Minnesota Association of Naturopathic Physicians. Thank you for doing your part to help raise awareness for this important health care option. 2. Click the Upload button at the top of the page. 3. Before you start uploading the video you can chose the video privacy settings, make sure your video is set to “public”. 4. Select the video you'd like to upload from your computer. 5. Click Publish to finish uploading a public video to YouTube. Avoid sugar, dairy, fruit and simple carbohydrates. These all break down to simple sugars and provide food for bacteria, making it harder for you immune system to clean up the bugs. If you are experiencing congestion, you may also want to avoid citrus as it contributes to mucus production. Eat vegetable soup. This is the easiest for you body to break down and provides the best nutrients for your immune system. Try warming socks! See a handout on how to do here. It's best to do this before bed. The alternating hot and cold stimulates your immune system and helps you breathe at night. Rest. We often think "I'm not that sick" and we continue on with our normal routine. This prolongs our cold because we don't give our immune system time to respond and clear up bad guys. Hydration. Water is the best tool that we have to break up mucus. Avoid using over the counter treatments to decrease symptoms. While these can reduce your symptoms they will often make the cold last longer. The symptoms you experience are actually your body trying to beat the cold. Alternating hot and cold. Hydrotherapy (use of water for treatment) is an excellent way to get our immune system working! Try alternating hot and cold treatments to your throat or sinuses. My favorite method involves two washcloths, a medium sized bowl, water, and ice. Fill your bowl or bucket with ice water and put one of the washcloths in there. Warm the other washcloth under hot water from the sink. Apply the warm washcloth until it cools off then remove it. Apply the cold cloth until it warms up. Do this process 3 times ending with the cold cloth. Supplements. Probiotics, vitamin D, and herbal supplements can be very helpful during times of illness. This is where a visit to your naturopathic doctor (ND) can be very helpful as we can guide you through which supplements will be the most helpful for you. As requested from a recent medicinal herb walk, here is a list of some of my favorite herb books and authors. Edible & Medicinal Wild Plants of the Midwest by Matthew Alfs - good local info on using herbs as medicine and food, very well referenced. Herbal Medicine from the Heart of the Earth by Sharol Tilgner - excellent resource for medicinal aspects of plants and combinations for particular ailments. The Herbal Medicine Maker's Handbook by James Green - good for how to "make medicine" from tinctures to salves. Not the best for medicinal aspects of plants themselves. The Book of Herbal Wisdom: Using Plants as Medicine by Matthew Wood - Amazing prospective on herbal medicine from a well known and respected herbalist. Any other book by Matthew Wood would also be good. Edible and Medicinal Plants of the West by Gregory L. Tilford - Although this book is based out of the West many of the plants are here in the Midwest as well. I started learning herbs with this book and love it for that use. Good pictures and easy quick information. Botanica Poetica by Sylvia Seroussi Chatroux - Fun poetry book to learn herbs in an artsy sort of way. Check out Last Child in the Woods by Richard Louv on how to save our children from nature deficit disorder! Of course this is just a short list of my favorites and I am always finding more. If you have a favorite list it in the comments below! Let's talk sleep hygiene. If you have never heard this term before, let me introduce you. Just as we need proper body hygiene to prevent illness and promote health, we can also look at our sleep habits to make sure they are setting us up for optimal health during the day. During sleep our brains process the events of the day and cement memories as well as clean out thoughts we don't need anymore. Support your sleep and your brain by adopting these habits below. Consider the time you head to bed. Every hour of sleep you get before midnight is worth twice the quality of sleep after midnight. Turn off all electronics at least 1 hour before bed. This means television, computer, and cellphones. Electronics are very stimulating to the brain and make it difficult to get to sleep. Sleep in a dark room. Our brains start to produce melatonin, which promotes sleep, when they are exposed to less light. Start by dimming the lights in your room 1 hour before bed then sleep in complete darkness. 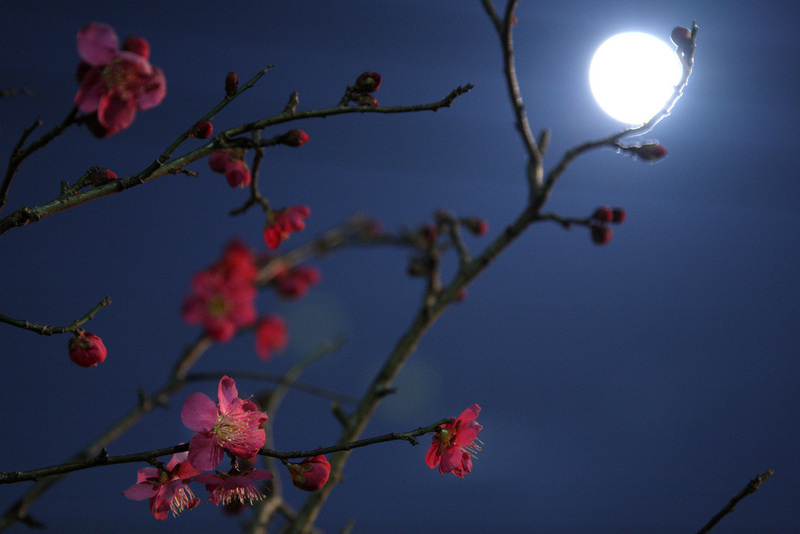 Create a nighttime ritual or routine. Our bodies and minds are comforted by patterns. Remind your mind that it is time for bed by starting a bedtime routine. Some ideas include: a warm bath, meditation, progressive muscle relaxation, or light yoga (click here for a 5 minute bedtime routine). Reading can also be good if it is not too stimulating or not on an electronic device. Mild to moderate exercise during the day. This helps promote restful sleep at night. 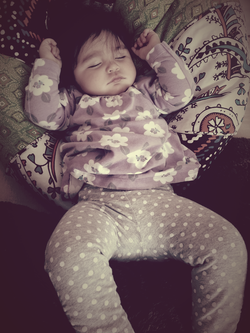 Optimal sleep is 7-8 hours a night, more for growing children. Read more about how optimal sleep time and room temperatures can affect weight loss here. If you are still having trouble falling asleep and maintaining sleep see your healthcare provider for further support. Naturopathic medicine has supportive therapies that can assist you in your change to healthy sleep patterns. Once you try them you'll never go back. Kale chips might just become your new favorite snack. Don't worry, you won't have to feel bad about this addicting treat - because it's good for you! 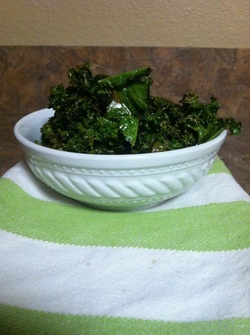 Kale is high in many great nutrients like vitamins A, C, and K, calcium, and manganese. Many studies have now shown that food sources of nutrients are better than supplements. Check out the two articles below to read more information about this. 2. Rip or cut your kale into bite size pieces. 3. 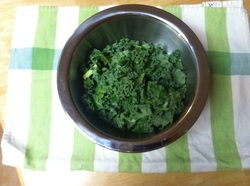 Toss the kale, olive oil, and salt to taste in a bowel. 4. 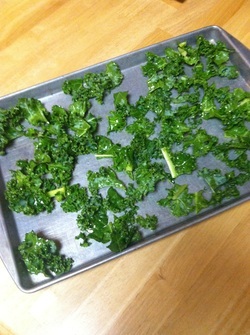 Spread the kale out in one layer on a baking sheet. 5. Bake for 5-8 minutes or until cripsy. This recipe can also be adapted and made with Brussels sprouts! Looking for ways to manage your weight? Proper sleeping habits can help! Discussions around food and nutrition often revolve around what to eat. But what about how we eat? How we eat affects our digestion. This can have long lasting effects on different aspects of our health. Why is proper digestion important? Smell your food – Smelling your food before eating it causes production of stomach juices and saliva, both of which help break down food properly. Saliva production is especially important because it predigests your food in your mouth before it gets to the stomach allowing for less work for the stomach. Chew your food – Try to chew until it is liquid. In grad school we would say 31 times! This is very hard to do but every effort helps. Chewing your food adequately helps breaks it down into smaller particles that make it easier for stomach to break down. Eat in a relaxed environment – Try to sit down to eat. Sitting and relaxing helps your increase your parasympathetic tone. The parasympathetic system is about resting and digesting. Resting increases the body's ability to digest. Often we tend to be in a more sympathetic state. The sympathetic system, sometimes considered the opposite of the parasympathetic system, is what allows us to 'run from the tiger'. It shunts blood flow to the muscles and away from the stomach, therefore decreasing digestion. This is why it is important to avoid stressful situations like driving a car while eating. Avoid eating in front of the television – When you eat in front of the television you are not focused on your food, leading to less chewing. Also, if you are watching "Walking Dead" you are probably stressed out! Practice Gratitude - This increases your parasympathetic tone and allows for a moment to stop and think before "digging in"! Popcorn is one of America's favorite treats. But were you aware that there are dangers lurking in our microwave popcorn? The Environmental Working Group has linked chemicals in the lining of the bags to infertility and certain types of cancer! Have no fear, there are still other delicious ways to make and enjoy popcorn outside of using your microwave. My favorite way to make to make popcorn is on the stove top using coconut oil. Coconut oil is good to use compared to many oils because it has a higher resistance to heat. Oils such as corn, soy, safflower, and canola are more susceptible oxidative damage from cooking on high heat. This damage causes the loss of any nutritional value the oil might have previously held as well as creates free radicals which are damaging to your body! Coconut oil is delicious and I also like to use it for stir-frying my vegetables. It doesn't need to be refrigerated. 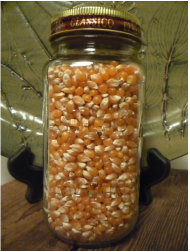 But back to the popcorn….I found the best way to figure out how to make the best popcorn is trial and error. Each of my pots makes popcorn a little differently. Don’t be afraid to try it out and don’t give up if one batch (or five) doesn't work out! If you are a sucker for details check out this lovely blog for a tasty recipe.